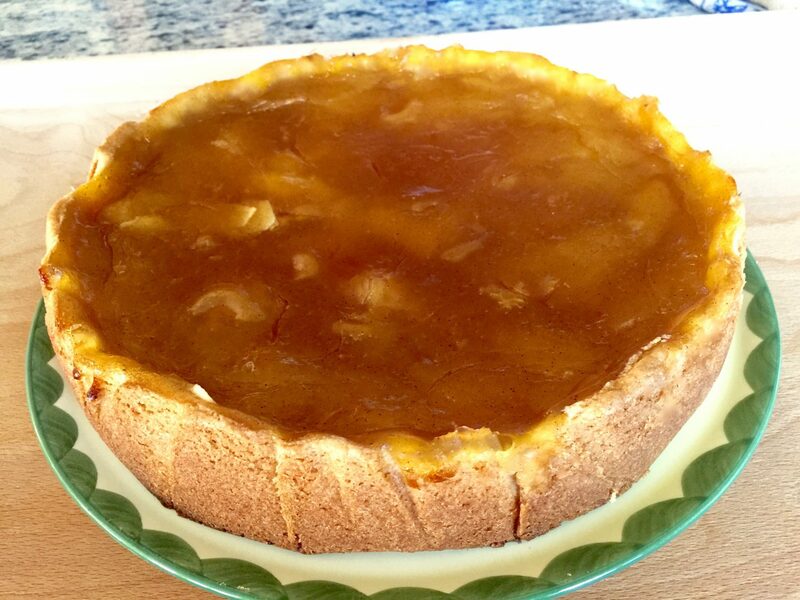 The German Apple Cider Cake is called Apfelweintorte in Germany. 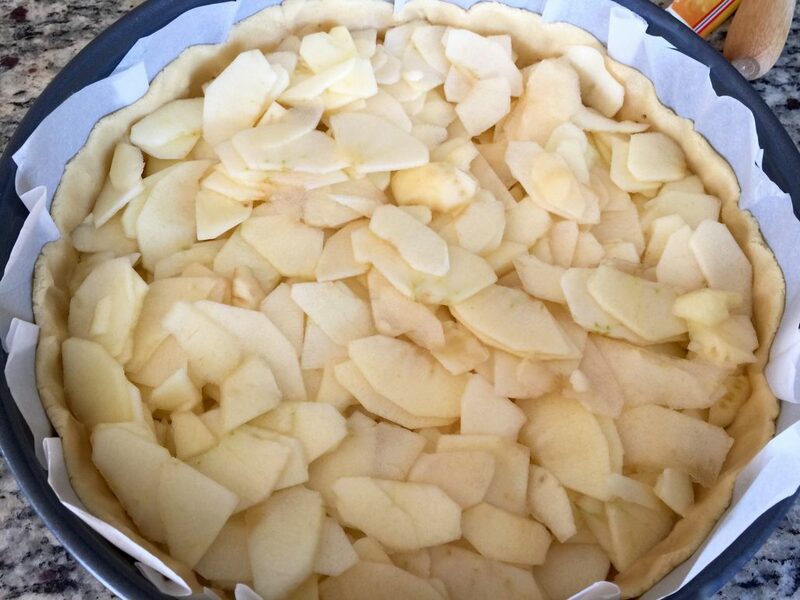 A shortcrust pastry filled with sliced apples and an apple cider cream. The cake is topped with whipped cream and sprinkled cinnamon. It is the right cake to welcome autumn. Mix the flour with the baking powder and sift it into a bowl. Add the sugar and vanilla sugar and mix well. Make a hole in the center and add the egg. Cut the margarine in small pieces and spread on top. Using your hands, knead all the ingredients together until you have a smooth dough. The dough is ready when it is no longer sticky. 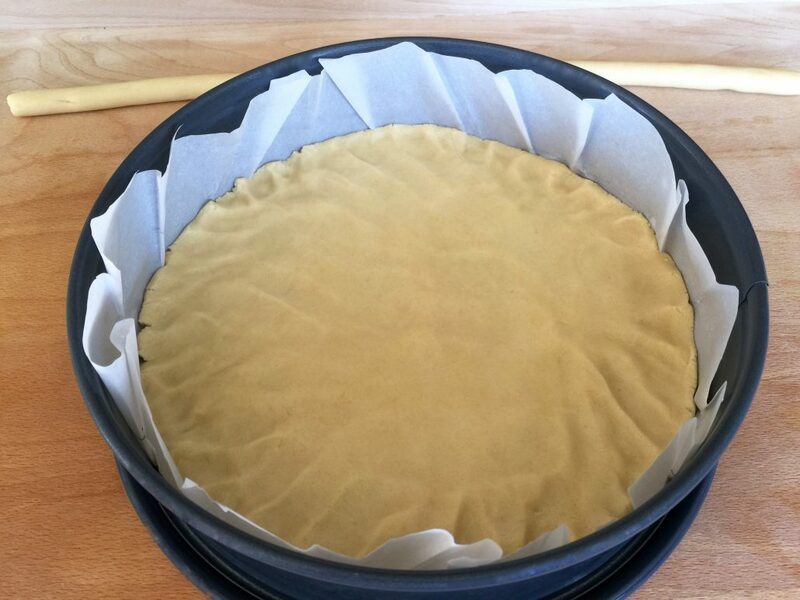 Cut a circle of baking paper about 2 inches larger in diameter than your springform (11 in). Cover the springform on the bottom and sides with the paper and fold it every few inches on the sides of the baking pan. Use ⅔ of the dough and spread it on the bottom of the springform by hand. Use ⅓ of the dough (about 190 g – 6.7 oz) to make the outer crust. Form two rolls and place them around the inside of the pan. 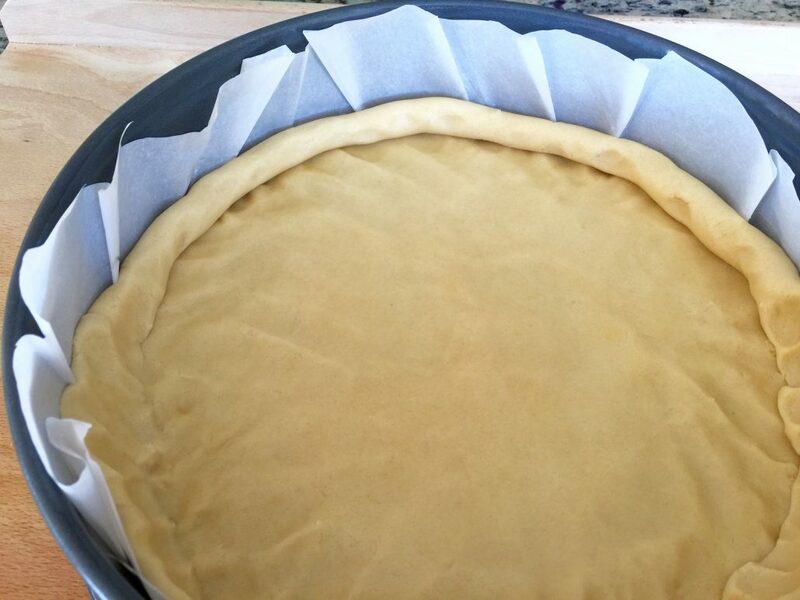 With your fingers, press the rolls against the sides of the springform (about 5 cm – 2 in high) and connect it with the bottom part of the dough. 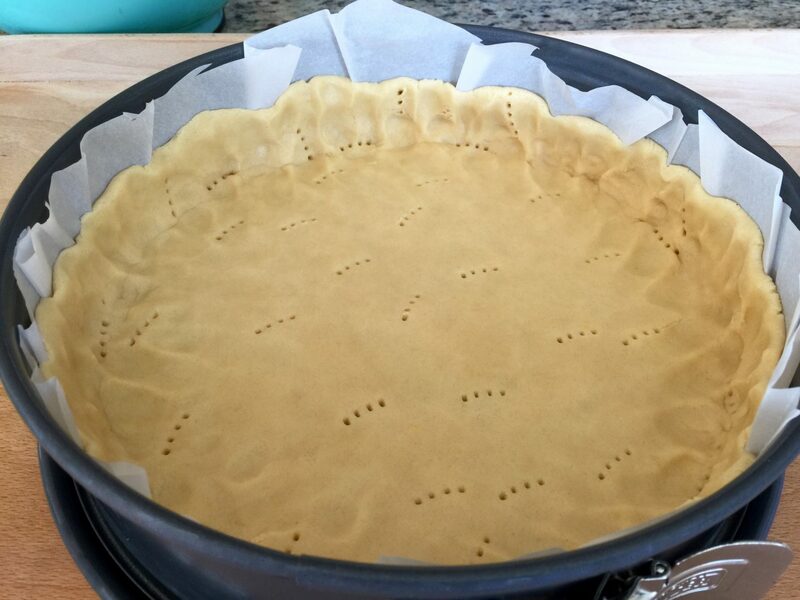 Use a fork to make holes in the dough/crust. Put it aside. Peel the apples, cut them in quarters and remove the core. 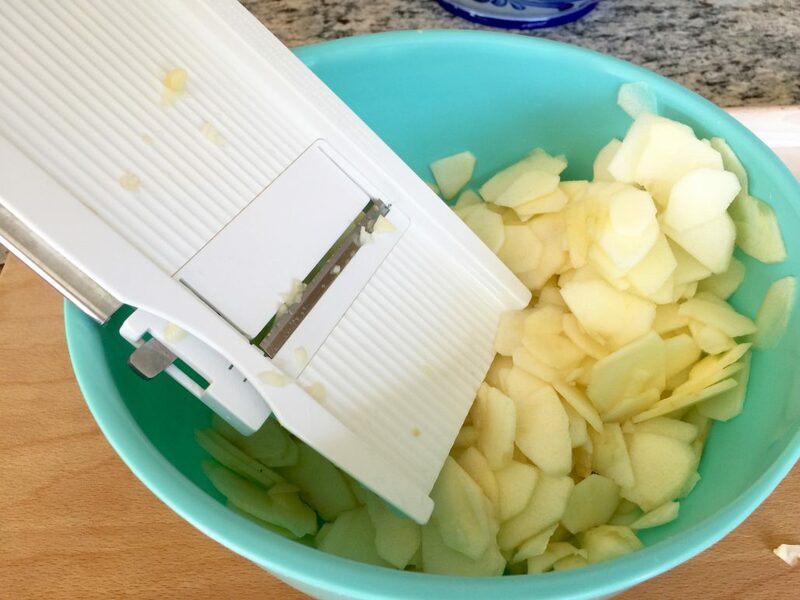 Cut the quarters into thin slices using a mandolin slicer. Spread the apples on top of the dough in the springform. Add the apple cider into a saucepan. Add the sugar, vanilla sugar, cinnamon and vanilla pudding powder and mix with a whisk until the sugar and pudding powder are dissolved. 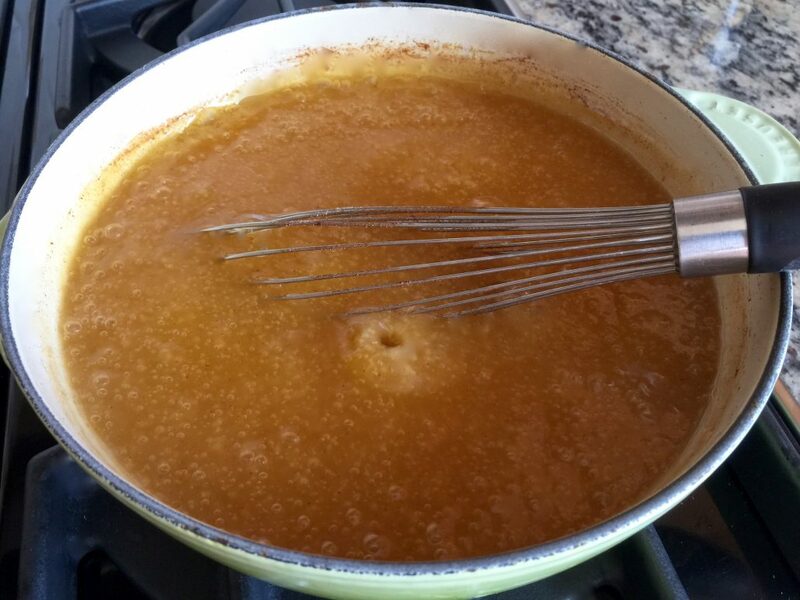 Place the saucepan on the stove and bring the apple cider mix to a boil while constantly stirring with a whisk. After the cream thickens, remove from stove, pour the apple cider cream on top of the apples and spread it evenly using a spatula or the back of a spoon. Preheat the oven to 175°C (350°F), place the cake on the middle rack and let it bake for about 70 minutes. Let the cake cool down in the springform. After the cake is cold, open the springform and carefully remove the baking paper. Place the cake on a serving plate using a cake lifter. Mix the whipping cream with the “Whip it” and beat it with a handheld mixer until stiff. 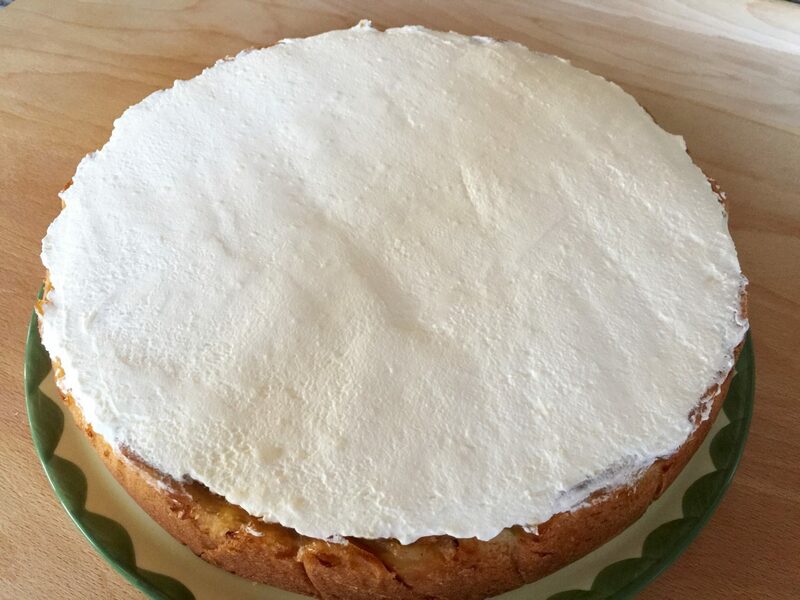 Spread the whipped cream on top of the cake using a spatula. Sprinkle some cinnamon on top of the whipped cream. 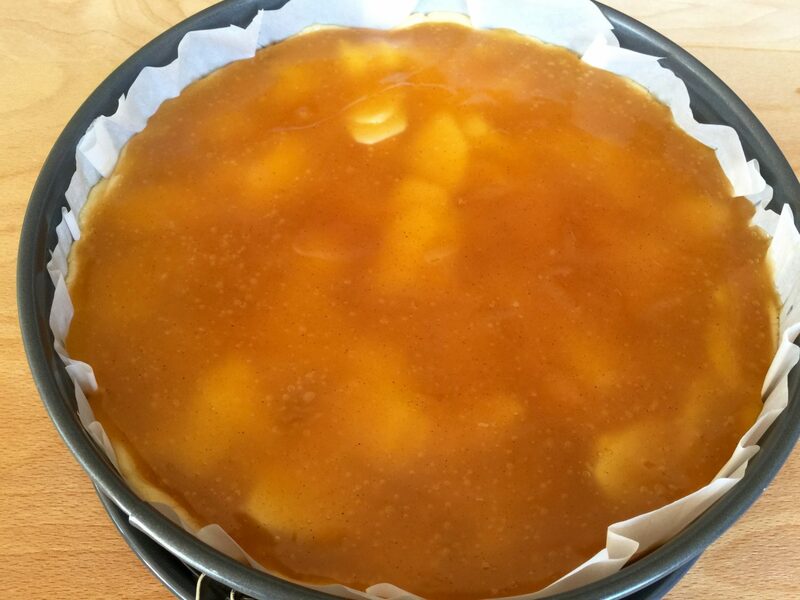 Place the German Apple Cider Cake in the refrigerator before serving. The cake also can be stored in the freezer. To try the Traditional Apple Strudel Recipe click here or the German Apple Dessert – Hessian Apple Dream click here.